Now he’s using his voice to support the Cystic Fibrosis NZ Canterbury branch, which is celebrating its 50th anniversary in New Zealand and Cystic Fibrosis Awareness Week 13-19 August. Metropol caught up with Nigel ahead of his Christchurch presentation for the charity, Adventures in Parentland on 21 August. 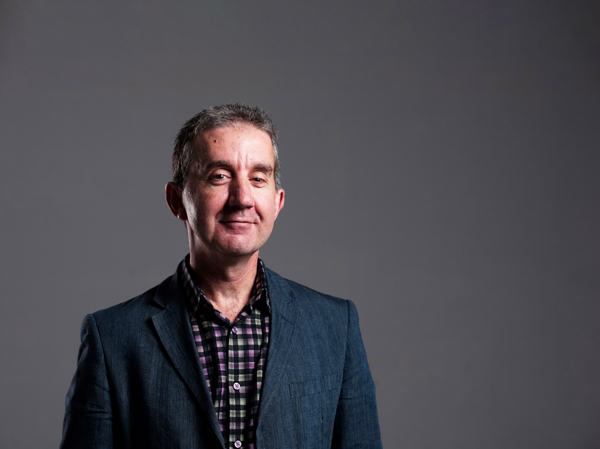 A New Zealand psychologist, author and television personality, there’s not a lot Nigel Latta hasn’t been willing to comment on – from parenting, to money matters and even the country’s criminal justice system. You’ve made a name for pushing against political correctness, how damaging is it for people to try to be ‘perfect’ and politically correct at all times? The politically correct thing has taken on a whole new tone with Donald Trump. When I was talking about that stuff, I was talking about being overprotective of our kids, now political correctness has become a catch phrase, so it’s not a term I use anymore. When I used it, I was just saying raising kids is hard, we’re not perfect. There’s always been a lot of pressure on kids and with the rise of internet and the ability to Google everything, it’s become harder. It’s hard to know how to prepare kids for a future that is increasingly uncertain. Half the problem is experts saying ‘if you don’t do things my way, you’re going to screw your kids up’. It’s actually hard to screw up kids. Yes you will be imperfect and do things that in hindsight you wouldn’t do, but that’s raising humans. How fulfilling is it for you to be able to use your high profile to support worthy organisations such as Cystic Fibrosis Canterbury? Being a TV presenter is stupid. Being on TV is an empty and vacuous thing. There’s nothing in it, but what it does mean is you can use that profile to do things that are positive and helpful, such as helping to raise funds and doing TV shows about things that are helpful for people. If you can leverage off the public profile for good, then it makes the rest of it bearable. The public profile is the least enjoyable part of what I do. I’d rather make tele and nothing else, but it’s good to be able to use that for something this positive. What are some of the myths about parenting? Almost all of them! It’s endless; we overthink just about everything; we think everything is more important than it is; we micro critique every single thing. Parenting is about the lifetime score not your daily average. There are solo parents with no support, who can’t provide their kids with the basics, but if they love them and do their best, they’ll be ok. Of course it would be nice to not have kids in inadequate housing etc, but the biggest thing is that you love them and do the best you can. There’s this myth of the ideal family; mum, dad, dad goes to work, mum’s at home totally focused on the kids all the time. It’s nonsense. Kids have been raised in imperfect families for forever; we didn’t always read them 50 bedtime stories. If what you’re doing, you’re doing it for them, it will work out fine. Did you put your own parents through their paces? I was a sh**. I thought I knew best when I was 14 and of course I didn’t, because I was 14. I had a mum and dad – dad worked, mum didn’t so mum was always there. We didn’t have lots of money; dad was a builder when people weren’t building houses. But I had parents that cared about me; I didn’t have a pony, but having parents that care about you is a big deal and not everyone gets that. How does successful parenting look to you? I don’t think there is such thing. So long as everyone loves each other at the end, if they’re decent enough people and look after the people around them. I don’t think it means your kids need all the trophies or you’re at all the awards ceremonies because that’s bulsh**. Do your kids know how to go about life? Because life is often sh***y. There are huge numbers of kids experiencing depression etc. What I think it’s about is teaching kids how to live an imperfect life. You need to give them strategies so when they have sh***y times – which they will – they can deal with it and chug on. What would some of your key advice be for struggling parents? Embrace the imperfectness of it. What people need is simple strategies that strip away the self-doubt. Never believe anyone that says ‘if you don’t do things my way, you will damage them’. The most important thing you have with your kids is your relationship with them. That’s the building blocks for everything. It’s the relationship when they get older that’s important, they can say they hate you; it may take 20 years, but they will eventually come around. Humans are wired to connect, you just need to keep believing in that and keep backing them and you’ll eventually get there – in a messy and imperfect way. Part of the problem is the belief that some people have their sh** together. That doesn’t mean there’s no point, so stop trying; it means embrace the imperfect things in life. We’ve got a neuroscience series coming out soon. I think it’s some of the best tele I’ve been involved in. It’s looking at what we know about the brain. It’s been amazing to make. So that will be out soon. Then I’m working on a parenting app. Books are ok, but people today don’t have the time to read a whole book written for all parents, because all kids are different. I wanted to build an app for what to do for your kid, not a generic kid.